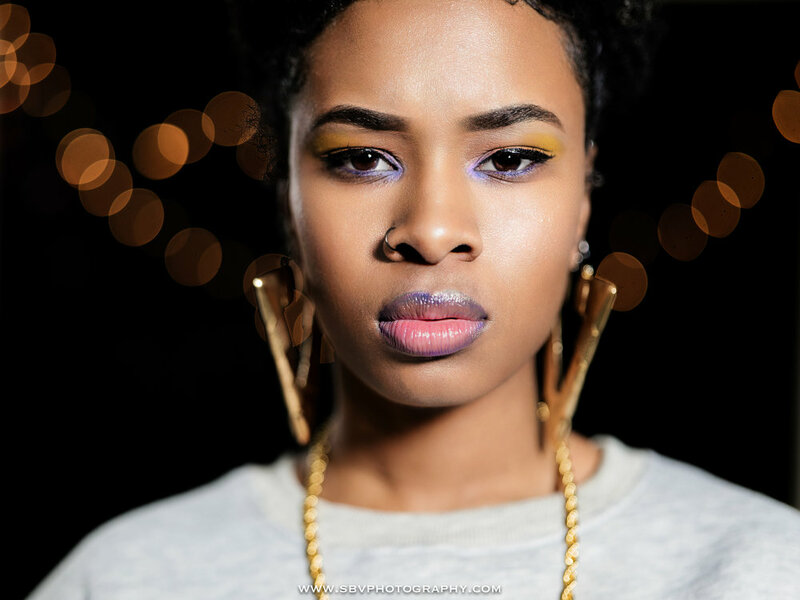 A Chicago model stares deep into the camera during her headshot. Emoni B. is a professional model from Chicago, Illinois whom I recently photographed in studio at the Lumix Launch Event at Dodd Camera. I asked her to give me a deep stare with a tough, hard look. She’s actually very sweet and cracked up with laughter after I took this series of shots. Model Emoni B. looks to camera left during a modeling gig in studio. I was at Dodd Camera for the launch of the new Lumix S series of cameras and lenses. While camera gear is important, lighting is even more critical and of course, a wonderful subject like Emoni B. really makes a session worthwhile. In studio portraits of a professional model. A modeling portfolio session with Emoni B. in a pink latex skirt. To schedule your own Creative Professionals portrait session, please fill out the Contact Form right here. Danielle and Brent recently had a Spring celebration at Zao Island in Valparaiso, Indiana. They are already married and this was a chance to celebrate with friends and family. We ended up with a very windy but sunny late April day and the sun shined through the newly built event venue as I photographed their decor before guests arrived. Event decorations at Zao Island. Before guests arrived, Danielle and Brent and their close friends took some some outdoor portraits on the grounds of the Valparaiso venue. We also hit the arcade for some guitar hero and goofing off on the go cart track. A sun star shines bright for an outdoor portrait at Zao Island. A black and white outdoor portrait at Zao Island. Fun photos at Zao Island in Valparaiso, Indiana. As guests arrived and mingled, I captured candid photos of everyone mingling and drinking cocktails in the late afternoon sun. Guests mingle at an event at Zao Island. I hope you have enjoyed this look at Danielle and Brent’s celebration at Zao Island. To inquire about event photography for your next outing, please fill out the Contact Form here.